Our time together was too short, but you lived it to the fullest. Embracing challenges, you achieved and conquered these challenges. I long for your hugs and kisses, you are very deeply missed my sweet one. Only cavaliers approved by Persy, may join the family. This was how I first selected a cavalier. Persy is a dominant male cocker spaniel who is not very friendly with other dogs. When I first started exploring other breeds beside cocker spaniels, I wanted to get away from all that grooming, one of the breeds was the cavalier. 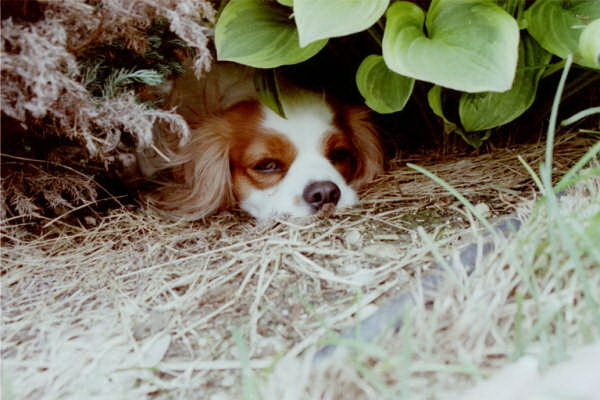 Persy and I attended a cavalier specialty so I could analyze his behavior. I was very surprise that he actually like the cavaliers. So we joined the cavalier club to receive more information about the breed and started talking with breeders. We soon welcomed our first cavalier Daisy to the family.
. It is to her that I owe the endearing cavalier love that is bestowed upon me everyday, in multitude now. Daisy’s performance career was cut short due to a back injure she incurred while playing and being the “Crazy Daisy” she is. I retired Daisy for a while due to this injury. 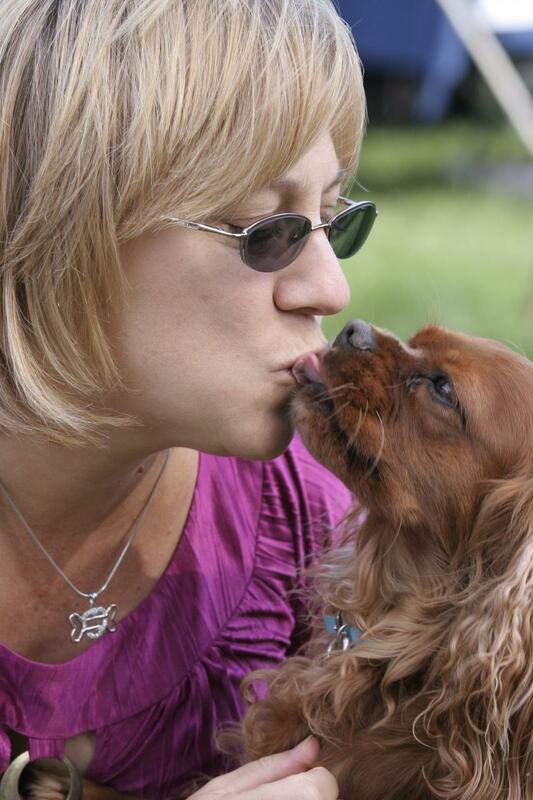 With the gentle hands of Dr. Sue Ann Lesser, Canine Chiropractor, Daisy has recovered to enjoy life. 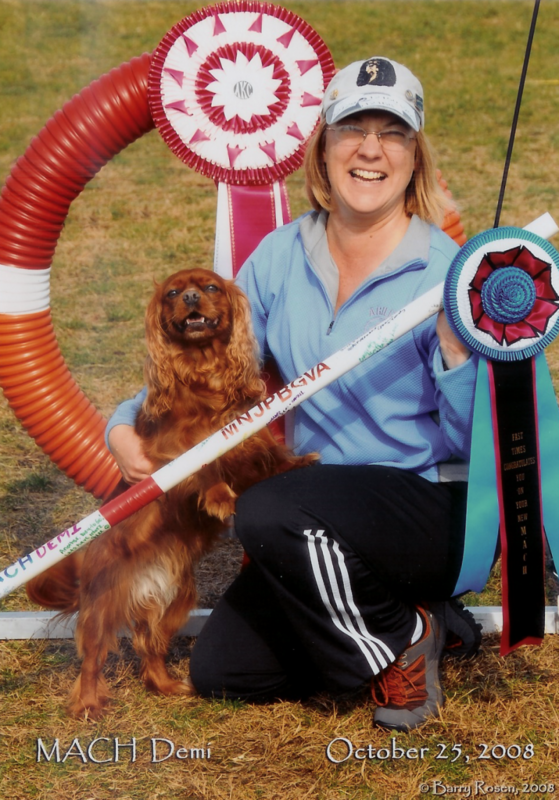 She doesn’t perform in any events that require her to jump too much like agility jumpers, but she enjoys going to dog shows and being the MASCOT. She has always had a very out-going personality, especially with children. She still enjoys playing fetch and most of all being a cavalier with her new cavalier brother and sisters. I welcomed Sasha into my arms many years ago. This puppy was a delightful little girl and a precious gift from a very dear friend. 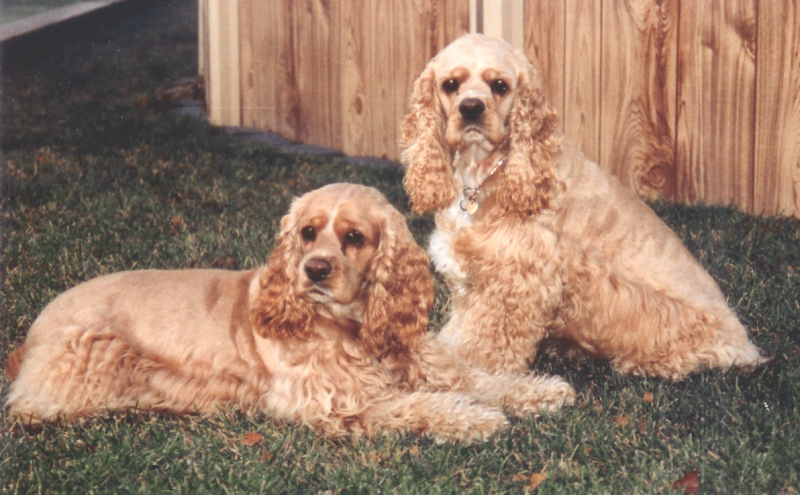 Sasha was a buff colored cocker spaniel and Persy’s mother. She was extremely intelligent and was very cunning to get any food she could. Her endeavors always amazed us and she was as gentle and kind while maintaining the dominant canine position in the family.